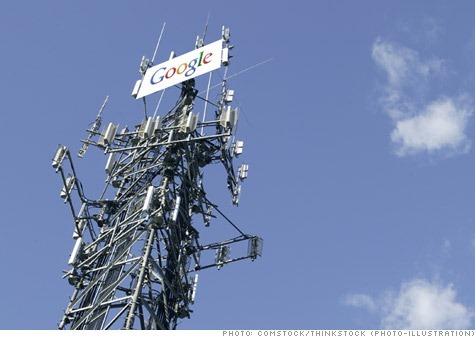 CNN Money: Could Google Become A Carrier? Yesterday, CNN Money posted a rather interesting piece that posed the question: could Google become "your new phone carrier?" If you're anything like me (and I hope for your sake that you're not), your first response was "Google? A carrier? #$%^ Yeah!" But as awesome as I'm sure that would be, the more I think about it, the less likely it seems. I'm not saying it won't happen. Hell, even the author of the article (David Goldman) doesn't seem sure of the idea. The point of the article seems to be more so to point out that it's feasible, especially down the road. And even if Google has the tech, spectrum, and money to make it happen, there will be other roadblocks - namely, regulatory approval. The ultimate conclusion of the article is that Google may just like having many of the pieces of the puzzle so that it has more bargaining chips with carriers, but they may be willing to put the puzzle together if need be. It's an interesting piece, and it certainly makes you wonder. PSA: There Are Some Trojans In Some Apps... Somewhere. Remain Vigilant, Friends.